It’s a polar summer where sun goes 360º around and there is no sunset for few months. Due to rough climate Arctic is considered a desert. It doesn’t snow and rain that much, it is pretty dry, except for two weeks in the middle of summer when all snow melt, the soil is muddy and wet, grass starts growing and everything turn into flowers. 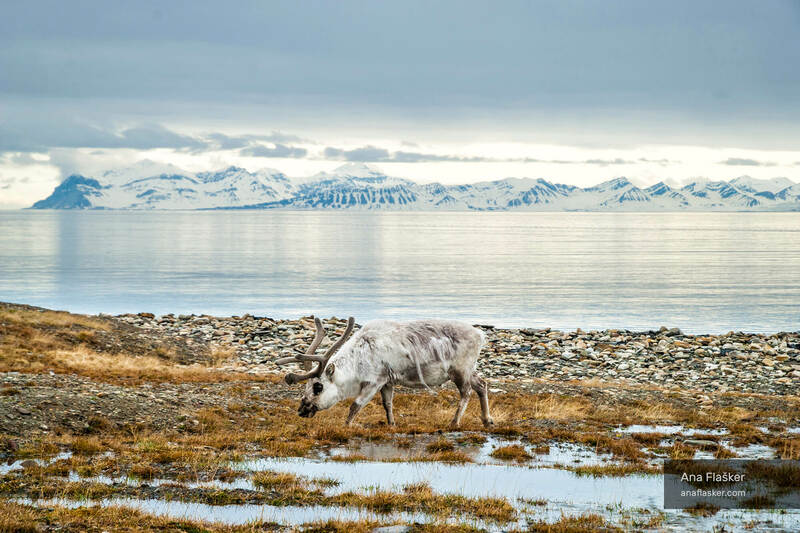 Reindeer is not afraid and freely roam around even comes to the city and try to eat as much as they can in the short summer.